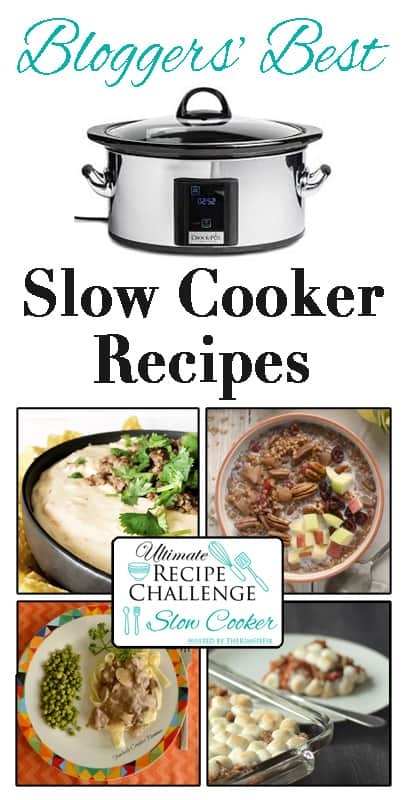 It’s another Ultimate Recipe Challenge, and this time our challenge was Slow Cooker! 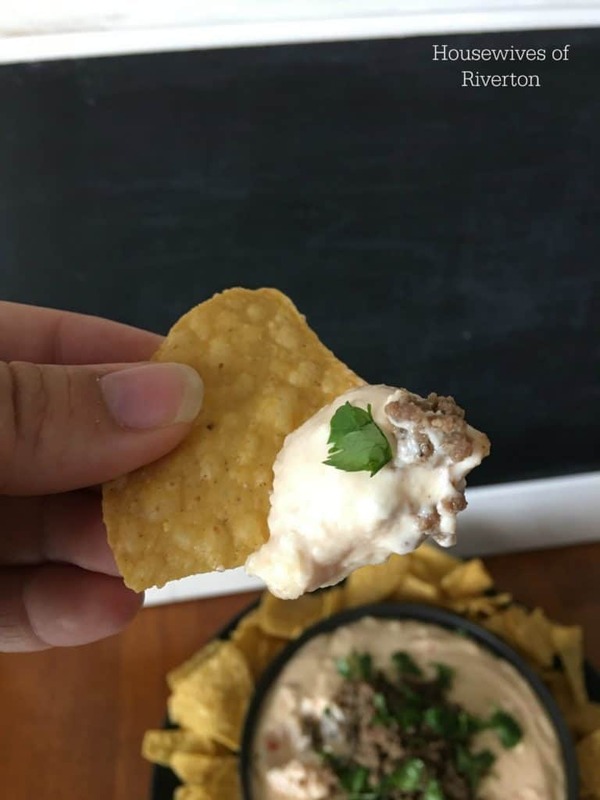 Oh my goodness…this White Queso Dip might be one of the very best things ever! It was a BIG hit with my family and I can’t wait to make it again! This recipe is really easy, you just throw everything in your slow cooker and stir occasionally and it’s done! See! It looks perfectly delicious right?! It has just the perfect amount of spice without burning your mouth. Even my younger children really enjoyed it. So get your slow cooker out, your ingredients together, and lets get this going! Turn your slow cooker on to low. Cube your pepper jack cheese, and american cheese and place in the slow cooker. 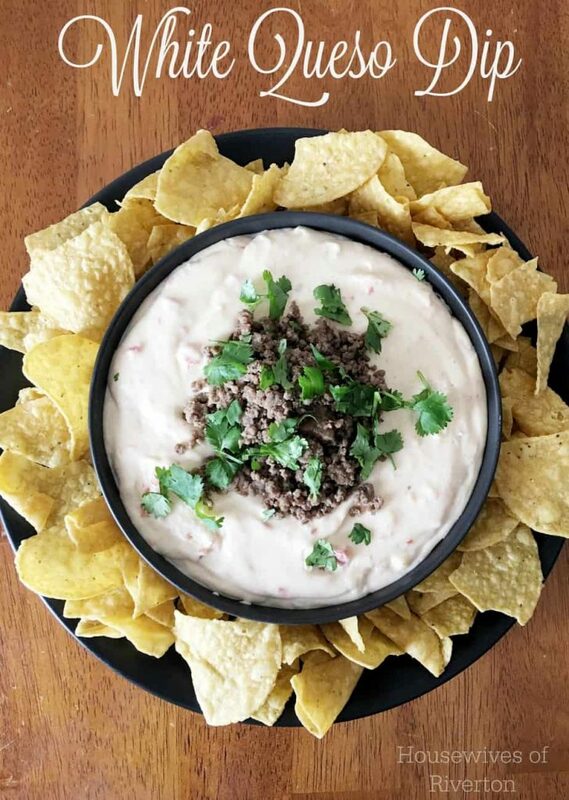 Add your cream cheese, diced tomatoes and chilis and sour cream. Give everything a stir and then let it sit in the slow cooker. Every 30 minutes or so, give it another stir. Once it starts to blend and melt, stir in your milk, garlic powder and chili powder. You can add more milk if you prefer a thinner consistency. Let it continue to cook in the slow cooker, stirring occasionally. Once everything is combined well, turn your slow cooker down to warm and you can serve and enjoy! I hope you love this recipe as much as I do. And I want you to be sure to check out all these other delicious slow cooker recipes! You won’t be disappointed! Let me know which recipes are your favorites!